The Tweed Region is nestled in the caldera of an ancient shield volcano, stretching from Byron Bay in NSW to Queensland's Gold Coast. It boasts marvellous beaches, estuaries, the beautiful Tweed River, protected rainforest and Mount Warning in a World Heritage national park. Tyalgum Ridge Retreat is situated high inside the northwest perimeter of the Tweed Valley, approximately 9kms from the village of Tyalgum. The venue is almost 20 minutes’ drive from Murwillumbah. There’s unlimited free parking at the venue. Jan 14th - Transport from Gold Coast airport (morning until 1pm) to the venue: $30 per person one way. By Car: Tyalgum can be reached from the coast via Murwillimbah or from the north through Chillingham and the Numinbah Valley - both beautiful scenic drives. From Tyalgum take Tyalgum Creek Road (runs between the Tyalgum Hotel and the service station) for 9kms. The last kilometre is a good quality gravel road. The retreat is the last property (no. 783) at the end of the road. It is 30 kms or 25 minutes from Murwillumbah. Approx an hour's drive from Gold Coast Airport. Connect with other campers to share transport via the Summersong Facebook group. Can you believe this amazing location? Tyalgum Ridge Retreat is situated high inside the northwest perimeter of the Tweed Valley in northern NSW. 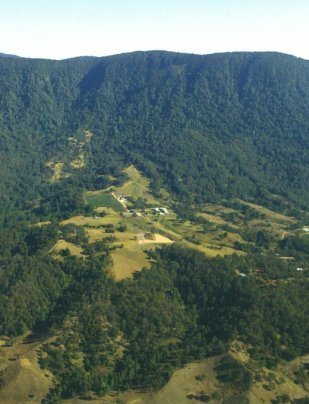 The Tweed Valley or the "Green Cauldron" is surrounded by the eroded crater of one of the world’s largest known extinct volcanoes. Ancient rainforests, fast flowing creeks, waterfalls and outstanding views are all features of the Retreat. Flanked by no less then three spectacular World Heritage National Parks, and in full view of majestic My Warning, Tyalgum Ridge Retreat is a magnificent purpose-built conference centre that forms part of a 350 acre property within 45 minutes of the Gold Coast. Tyalgum township is just 9km down the road. Feel free to pop into town for incidentals or anything you might need to buy. 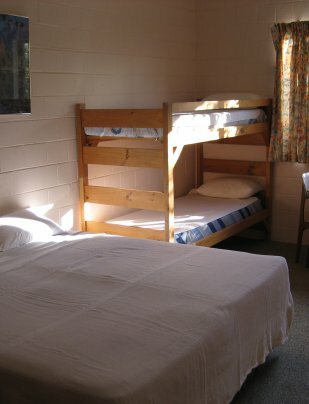 Tyalgum Ridge Retreat has 34 accommodation rooms with beds for up to 200 people. The main accommodation building has 3 floors , with each floor having a number of comfortable bunk rooms and a number of smaller, single or double rooms. Shared dorms are up to 5 people with ensuite. Double private rooms for couples only are available and no single rooms available. Camping is with own tent or van, power is available. Venue provides pillows and blankets. To order linens/towels contact: Tweed Coast Laundry Services 0266760600​ or email info@tweedcoastlaundryservices.com.au prior to arrival. Food is included as a selection of delicious healthy, hot and cold meals three times a day with snacks in between. Special dietary requirements such as Vegetarian or Gluten Free can be catered for however bring special diet needs if necessary.